This leather bracelet is loaded with details without being gaudy. 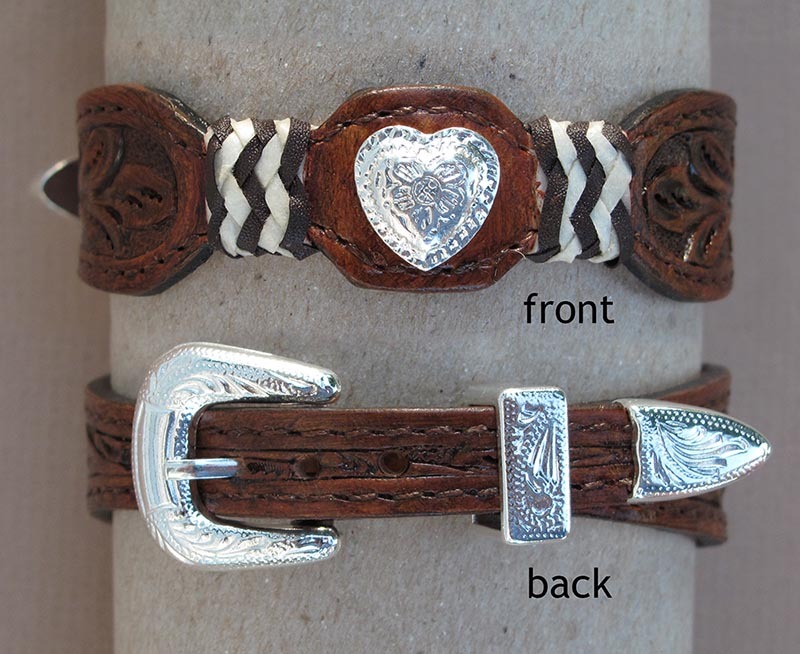 It's rich brown tooled leather, finished edges with stitching, and braided rawhide accents on either side of a floral embossed silver heart. Closes with a fancy silver buckle, complete with silver keeper and tip. Adjusts from 7 1/2" to 8 3/4"